Perennial ryegrass is a productive grass of medium height. In good fertile growing conditions it is capable of fast growth, producing a large bulk of smooth flat green leaves with glossy undersides. It is by far the most used and economically important grass in the UK. Ryegrass plants are loosely tufted, they tiller freely but do not creep or spread much. Individual leaves are short-lived so plants do not build persistent tufts or tussocks. The flowering stems rise up to around 50cm and are quite distinctive with their spikelets arranged tightly and alternately on opposite sides up the flowering stalk. Perennial ryegrass is predominantly a species of rich fertile lowland pasture, leys, and hay meadows. It is a native grass but has been very widely sown over at least the last 400 years. Ryegrass also occurs in many other grassy habitats on a wide range of soils, particularly those which are heavily grazed or trampled such as paths and tracks. It is frequently present in old un-improved flower rich meadows but as a non-intrusive minor component unless fertility is ‘improved' by the addition of fertiliser. Ryegrass is pretty much absent from drought and nutrient stressed habitats and from woodland. Perennial ryegrass can be sown at any time of year when conditions are suitable. It is one of the easiest and quickest grasses to germinate and grow from seed which makes it very popular with farmers and landscapers looking to establish quick ground cover. This competitive early vigour however makes it generally unsuitable as a companion in wild flower seed mixtures as it will exclude slower growing wild flowers and grasses. Perennial ryegrass is very tolerant of frequent grazing, mowing and trampling having the ability to rapidly regrow and recover after damage. This makes it ideal for pastures but also for high wear sports turf situations for which dwarf finer-leaved varieties of ryegrass has been developed by plant breeding. Perennial ryegrass is a productive nutritious grass for both grazing, hay making and silage, particularly on good soils and with inputs of manure and fertiliser. Ryegrass stems and leaves are never tough to mow by scythe, but if heavy and lush can be hard work. Being fast growing ryegrass is quick to mature but will then lose quality if not utilised or cut for hay soon enough. Whilst modern grassland systems frequently rely exclusively on perennial ryegrass, the inputs this demands together with a lack of flexibility at harvest make it less than ideal. A mix of supporting grass and clover species as contained in our grazing mixtures is better suited to more extensive low-input systems. 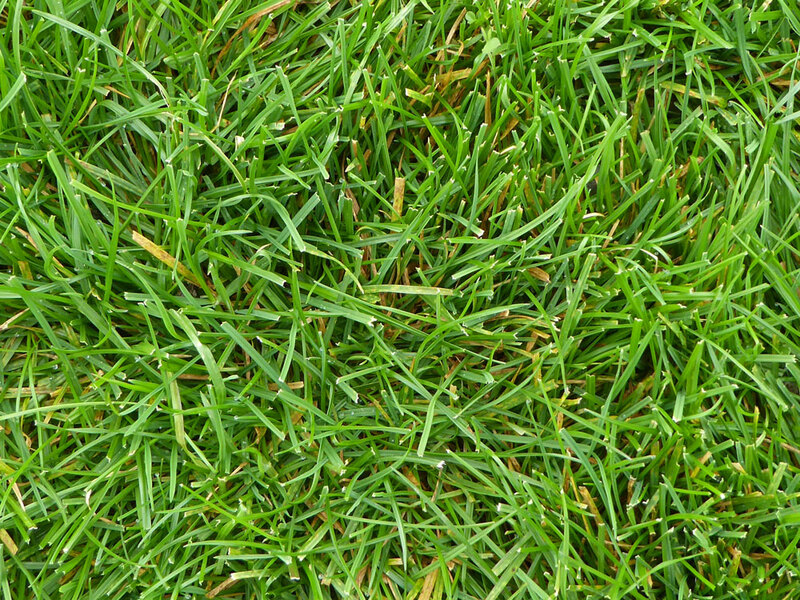 Ryegrass is a high performance grass but is very much dependant on having optimal growing conditions and a good supply of nutrients to maintain its fast competitive growth rate. If these fall away at any time, or the plants experience stress , performance rapidly falls off and the ryegrass fades back to be replaced by other grasses. Even on good soils the proportion of ryegrass in a sward typically declines over five years to 50% or below, at which point the sward will be deemed to require reseeding. On nutrient poor soils ryegrass will cease to be competitive beyond the initial establishment phase unless nutrients are added.